"Sometimes dreams come back to life." The Rookie is a dramatic baseball movie that was released in 2002. It was directed by John Lee Hancock, and it was written by Mike Rich. 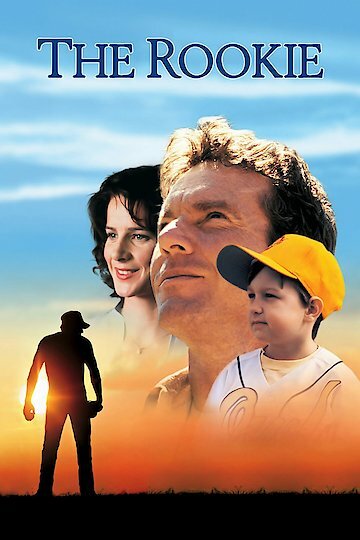 The film stars Dennis Quaid as Jim Morris, Brian Cox as Jim Morris Sr., and Rachel Griffiths as Lori Morris. The supporting cast consists of Jay Hernandez, Angus T. Jones, Angelo Spizzirri, and Rick Gonzalez. Additionally, the film received a G rating. The film begins introducing Jim Morris. He is a family man that has recently moved to Texas. He is a teacher, who is also the baseball coach for that school. He was also a very successful player when he was younger. He was drafted to the pros, but he got injured and had to give it all up. The team he coaches now is really bad, because they just do not care. One day, one of the players asks to have a catch with Jim. Here, they discover that Jim's pitching arm is still in top shape. Quickly, the rest of the team finds out; this is the catalyst to the team taking their practice very seriously. The reason is, the team believes their coach can still pitch in the major leagues. Thus, they made a deal. If the team makes the playoffs, Jim will try out for a major league team. The team works hard to improve, and they end up making the playoffs. Thus, Jim gets a tryout with the Tampa Bay organization. Jim goes to the tryout without telling his family for fear of failure. To his surprise, he has increased the speed of his pitching significantly since the last time he played competitively. His dream is coming to fruition as he is signed to a minor league team. Now, he must continue to work harder to achieve his dream of pitching in the major leagues. The Rookie is currently available to watch and stream, buy on demand at Amazon, Vudu, Google Play, FandangoNow, iTunes, YouTube VOD online.